Tina Rice: I’m a photography/mobile based artists. Everything I do now is from my iPhone and iPad. All my traditional photographic education came from Grossmont College and MOPA Workshops. The Digital Photography came from taking two classes at Grossomont and self taught from Flickr. I taught myself how to use a lot of the photo and art software programs. This is how I learned, how to push and manipulate pixels, since I could not do it in the darkroom anymore. 2010 when I got my iPhone 4, it changed the way I photograph and edit photos. After learning how to push pixels on Photoshop, it was easy to do this with mobile photo apps. I taught myself how to edit photos using different combination of applying photo apps on top of each other. I wanted to learn more about other photo apps and buy more of them. 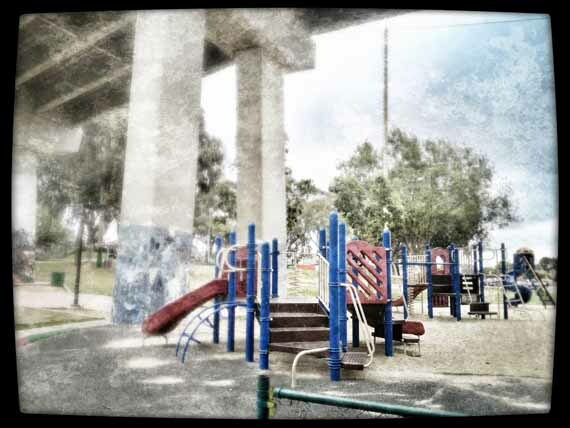 I was into two websites, iPhoneography (no longer exists) and Life in Lofi: iPhoneography. The websites provided reviews on photos apps, but didn’t really tell you how to operate them or go into real details. 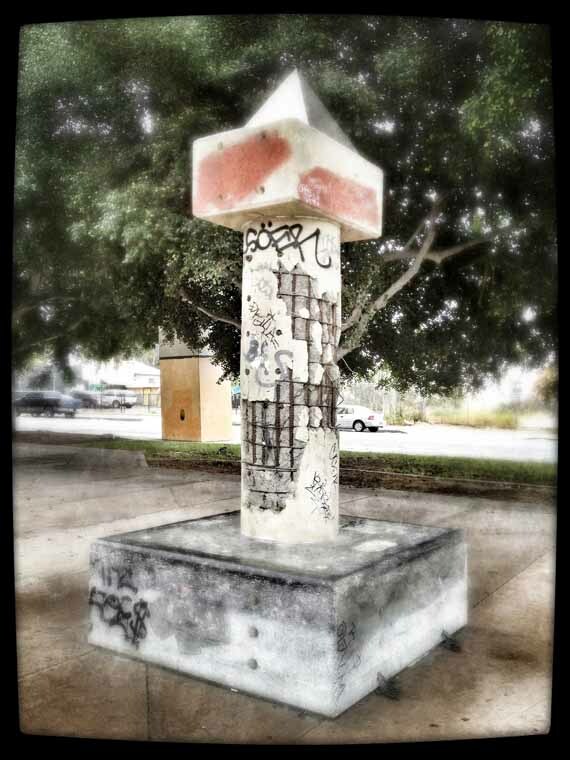 The photos that are shown from the Chicano Park iPhoneography series are taken from my iPhone 4S and edited on my iPad. The apps that were used are ProCamera (n/a), Snapseed and PicBoost. 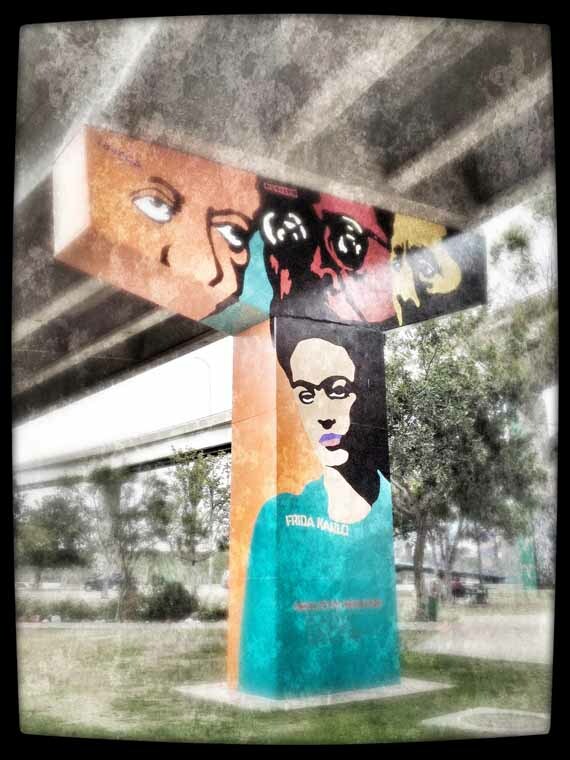 They were taken at Chicano Park. 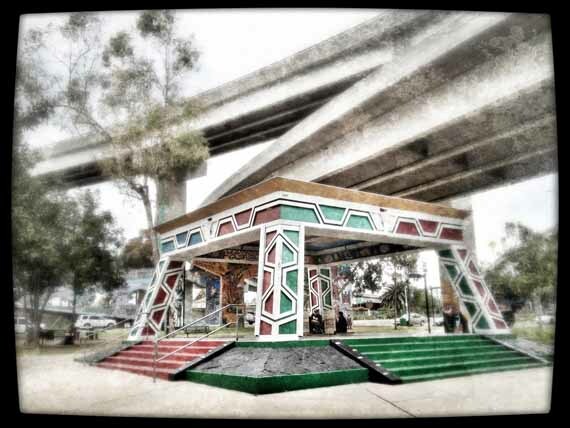 Chicano Park is over 40 years old, iconic to San Diego and part of the Hispanic Community. 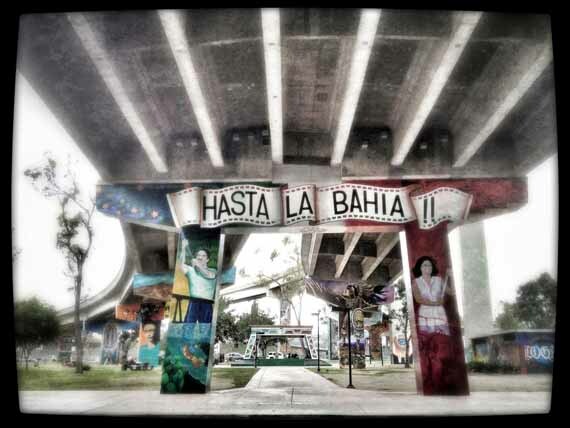 It is one of the most beautiful parks in San Diego with the large colorful murals, painted under the overpass to Coronado Bridge. The park has had a lot of cultural and violent history, today the park is safe to walk around during the day and snap a few pictures. It a quiet park where you see people walking in, out and around the park, playing handball in the racquetball court, people sitting at the benches socializing or tossing a few hoops at the basketball court. You will see the occasional drunk who has passed out on the grassy knoll. I’ve been down there twice to take photos. The first time with my DSLR and a photographer friend. The second time alone with my iPhone, early in the morning on an overcast day during May Gray. Tina Rice was born and raised in San Diego, California. She is a photographer, blogger and out artist, who publishes step by step tutorials on extreme editing with apps on iDevices and other mobile devices at her website Combo Apps: Mobile Extreme Editing. Along with in-depth app reviews, products, mobile photo essays. You can find and follow her on Instagram @ashcroft54 or see her artworks at her Flickr photostream.